Hassle-free Checking, No Big Bank Fees. The Spring 2019 Member Newsletter is Online! Free Drive-through Paper Shredding and Electronic Recycling, Saturday, June 1, 2019, 9:00 a.m. to 12:00 p.m.
Caring, trust and dependability ...online. 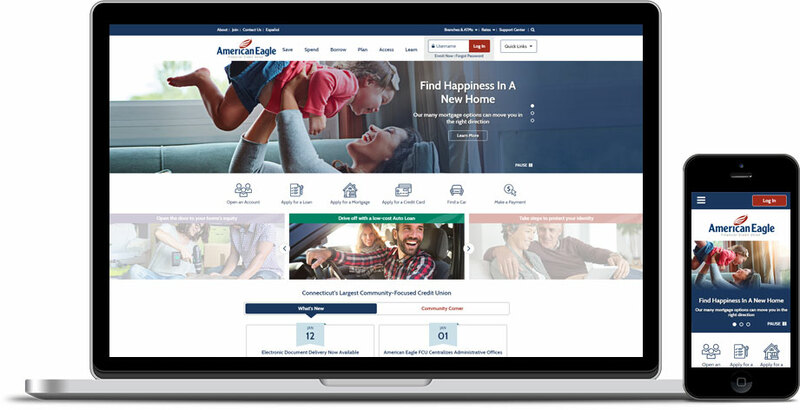 As the community's first choice in financial services, American Eagle FCU welcomes you to our new website. Featuring a fresh look and enhanced usability, this redesign puts you in more control. 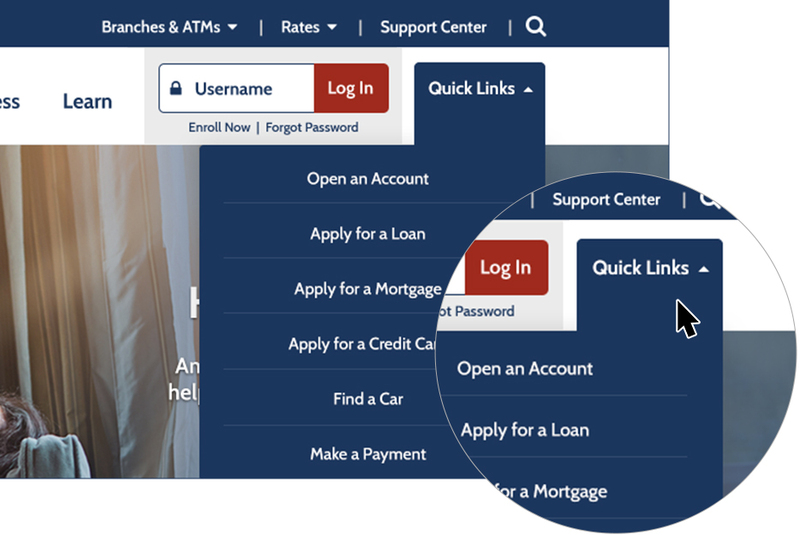 If you need to review your account information or make a few transactions, logging into Online Banking is a cinch. 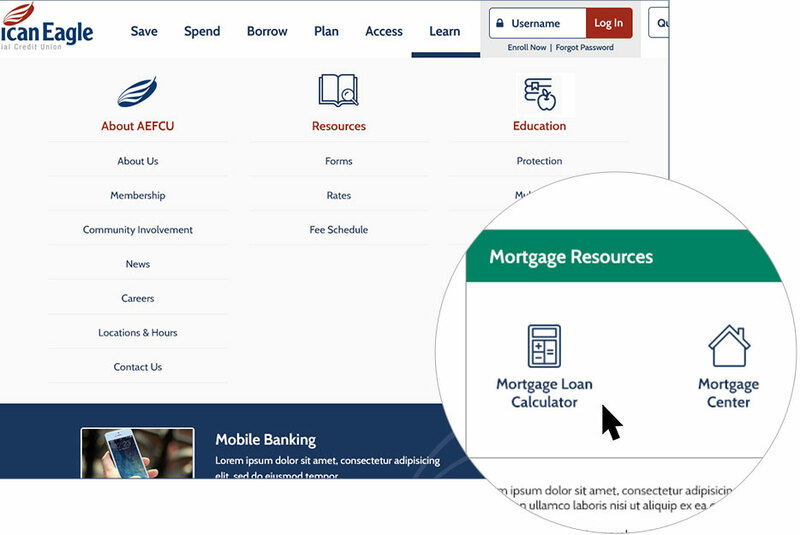 The Online Banking login box is located at the top of the site for easy accessibility. Simply type in your Username and click the Log In button to access your accounts online. 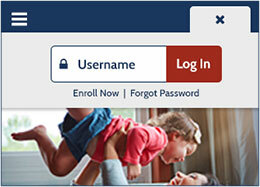 You can enroll in online banking or retrieve your password from the login box, too. Get to where you want to go faster. Speed up your common tasks by clicking on the handy Quick Links menu, which reveals frequently visited pages on the site. 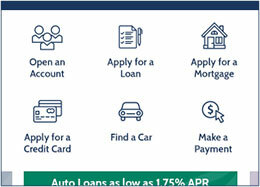 From applying for a loan to making a payment, it's all right there. 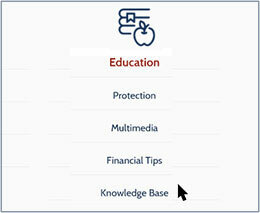 Simply select one of the popular pages from the Quick Links dropdown menu to reach your destination. All it takes is just a couple of clicks. Find where we are located near you. 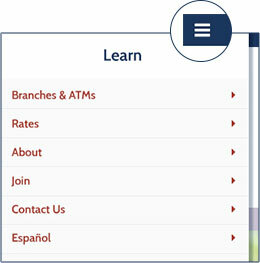 If you're looking to visit us in person, just click the Branches & ATMs dropdown menu to show a list of our locations. 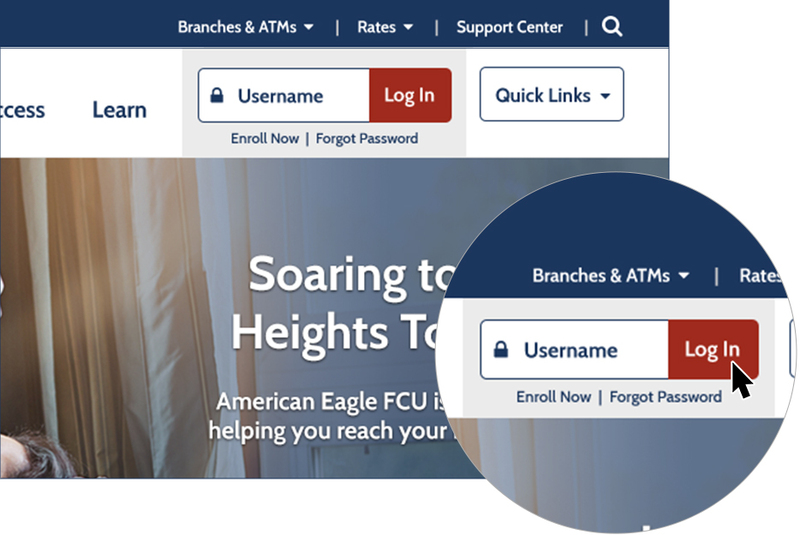 From the list of Branches & ATMs, you can select a location to get more details, including specific contact information, an interactive map and turn-by-turn directions. Make smarter choices with helpful tools. 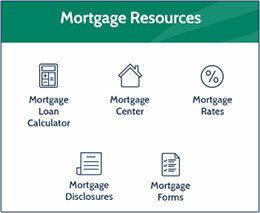 Within the Learn section of the menu, you can find forms, calculators, rates and other useful tools when you need them. Dive deeper into our helpful resources. Resources, embedded on product detail pages, are also there for your added convenience. Learn more about your financial options. 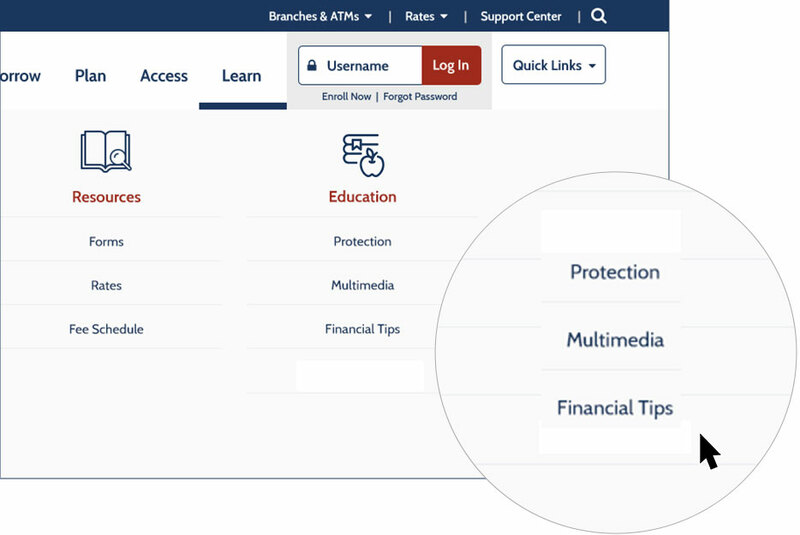 Upon hovering over the Learn section of the menu, you'll discover a wealth of available information, covering financial security and tips, as well as instructional videos. Connect with Connecticut's largest community credit union. 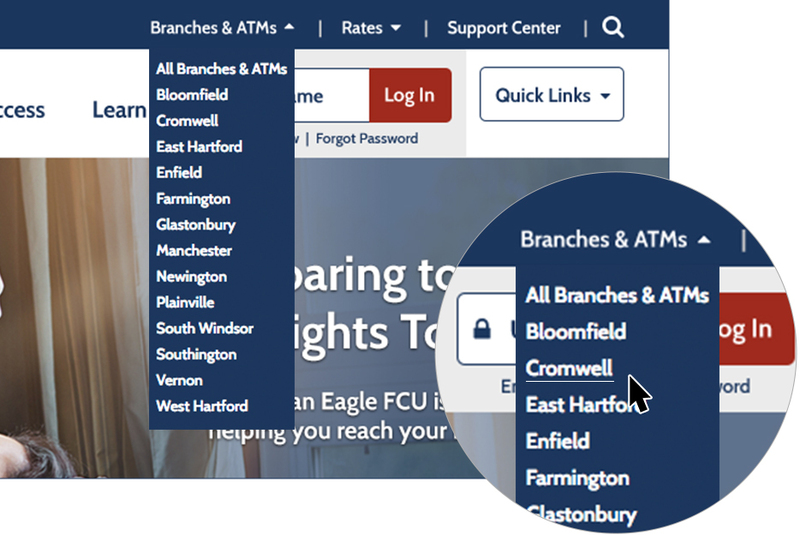 While we may be physically located throughout Connecticut, now you can take American Eagle FCU with you, wherever you go. 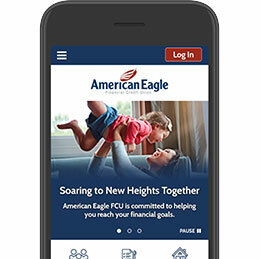 Our new website is compatible with all devices whether you view on your home computer or your mobile phone. Come back often for timely updates, special promotions, upcoming events and financial solutions from your community-focused credit union.